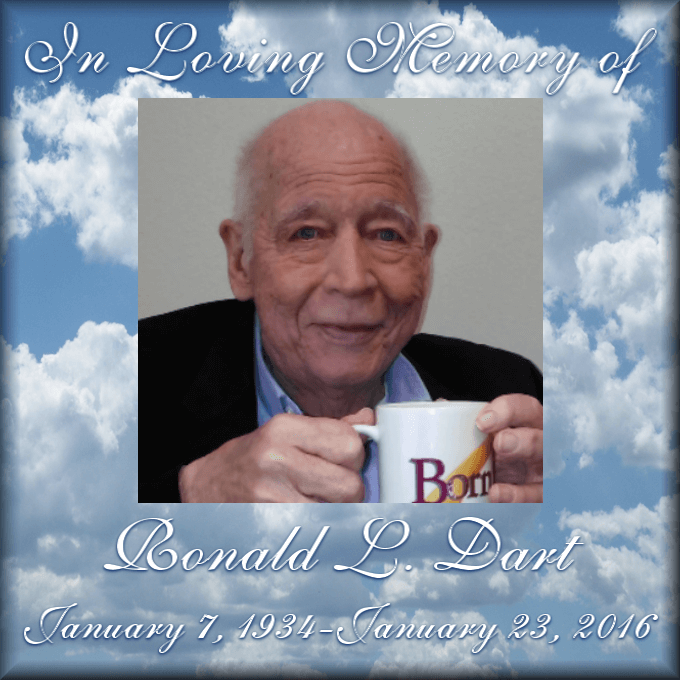 Services for Ronald L. Dart were held, Wednesday, January 27, 2016, 2:30 PM, at Stewart Family Funeral Home. The service is available for viewing below or on the video tab of Ron’s page on the Stewart Family Funeral Home’s website. Ronald L. Dart died peacefully in his sleep early this Sabbath morning, January 23rd, from a prolonged battle with cutaneous T-cell lymphoma. His remarkable gift of clarity and love and understanding of the Bible were devoted to teaching others. 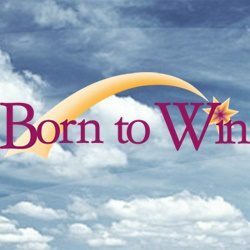 Christian Educational Ministries, founded by Ron Dart in 1995, will continue to promote his timeless insights into God’s Word through the Born to Win program, his books, essays and audio messages. He was a gifted speaker and teacher who leaves a legacy of knowledge and understanding of the precious Word of God. Services for Ronald L. Dart, 82, of Tyler, Texas will be held, Wednesday, January 27, 2016, 2:30 p.m., at Stewart Family Funeral Home with Jonathan Garnant officiating. Burial will follow at Whitehouse Memorial Cemetery in Whitehouse, Texas. Mr. Dart passed away Saturday, January 23, at his home in Tyler, TX. He was born January 7, 1934 in Harrison, Arkansas to Tildon and Eva Dart. Out of a sense of duty and patriotism, Mr. Dart served his country four years during the Korean War in the Air Branch of the U.S. Navy, achieving the rank of Petty Officer, First Class. Ron Dart was the founder and president of Christian Educational Ministries and the voice of the international Born to Win radio program. He attended Hardin-Simmons University, graduated from Ambassador College, and worked towards his PhD at the University of Texas, Austin. He was gifted with the ability to make a difficult subject clear and understandable and his knowledge of the Bible drew many listeners. He wrote 11 books on various Bible subjects. 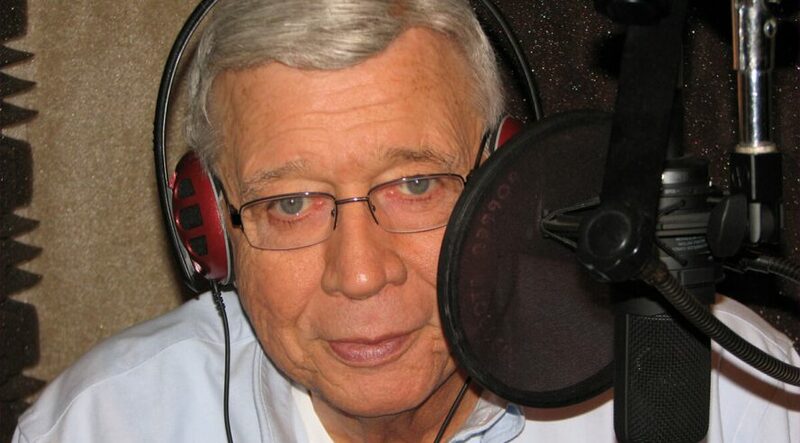 Born to Win will stay on the air and continue doing the work Mr. Dart began. Ron Dart was preceded in death by his father, mother, and sister, Nana Williams. He is survived by his loving and devoted wife of 62 years, Allie. Pallbearers will be Gary Gibbons, C. Rod Martin, John Currier, Willie Oxendine, Joshua Voyce, and John Beasley. Visitation is scheduled from 6:30 to 8:30 p.m. Tuesday, January 26, at Stewart Family Funeral Home, 7525 Old Jacksonville Highway, Tyler. Memorials may be made to Christian Educational Ministries, P.O. Box 560, Whitehouse, TX 75791. Comments and memories can be shared at Ron’s personal Facebook page and Tribute page.